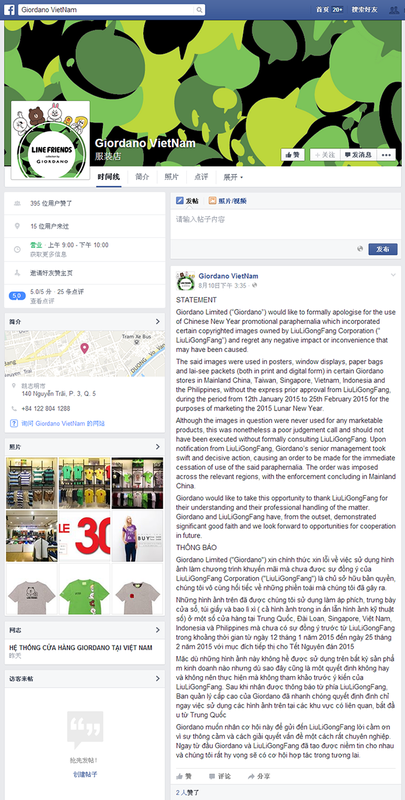 Established in 1987, “creativity” is at the heart of the LIULIGONGFANG brand. Our work has been recognized by the iF Design Awards and the Red Dot Design Awards among others and have been acquired by over twenty internationally esteemed museums and institutions. As a global brand steeped in Chinese culture, not only does our work speak of innovation in design and technique, it promotes the exchange and influence of culture and heritage. An incalculable amount of heart, hours and capital goes into the creation of each piece. 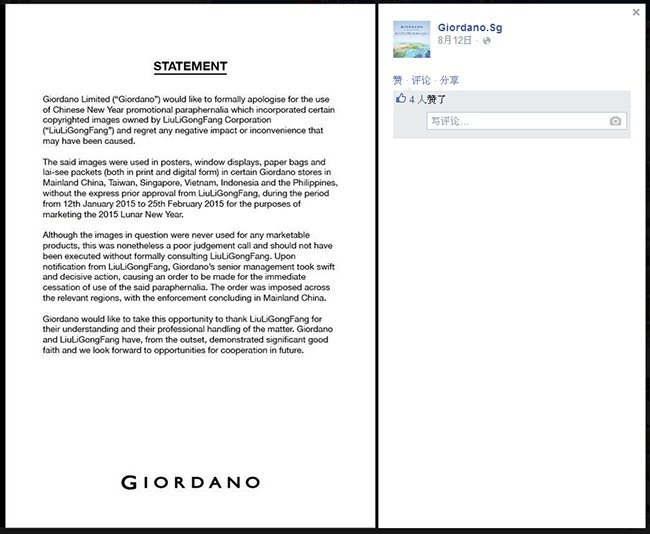 From January 12 - February 25, 2015, Giordano used LIULIGONGFANG’s copyrighted photographic images without permission throughout China, Taiwan, Singapore, Vietnam, Indonesia and the Philippines. 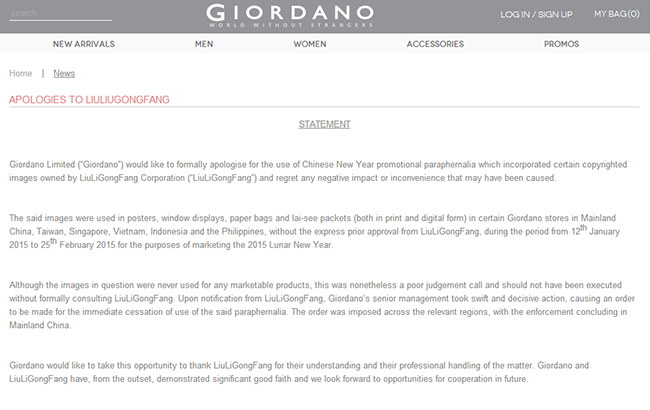 This unauthorized appropriation is in clear violation of the intellectual property rights of LIULIGONGFANG. 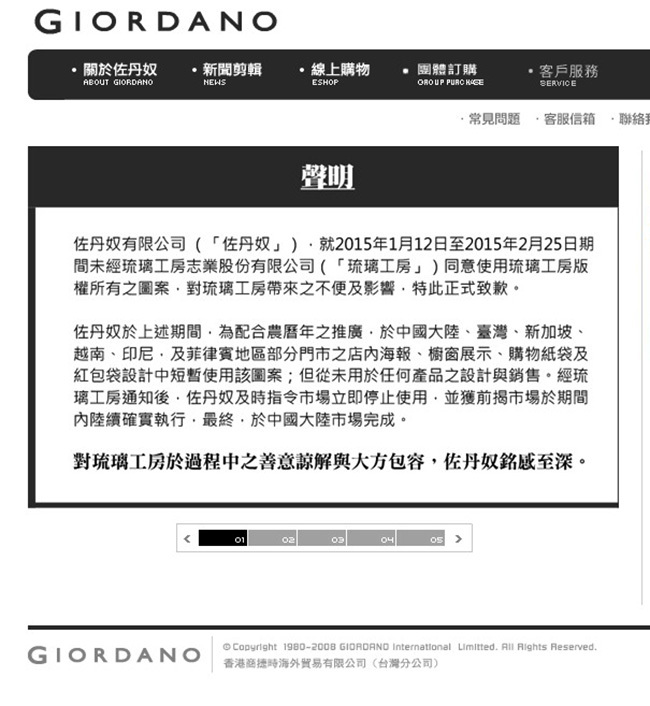 After taking appropriate measures with the court of law, Giordano was ordered to remove all violating imagery and present a formal apology. 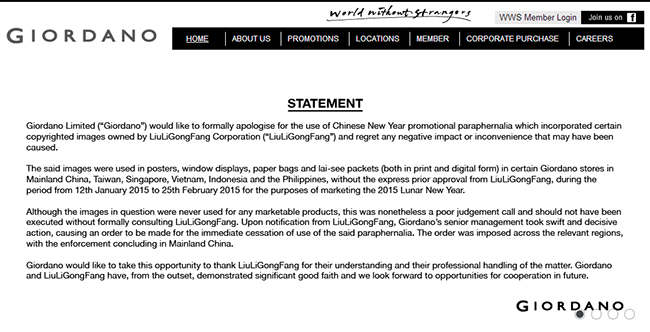 To reiterate, LIULIGONGFANG designs in all forms are protected by law. They may not be used, altered, reinterpreted, publicly broadcasted, disseminated, released, publicly distributed, deconstructed, dismantled or reverse engineered. 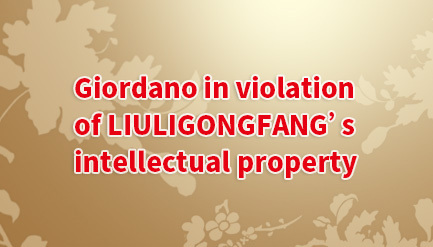 All requests to use LIULIGONGFANG property must receive official written assent from LIULIGONGFANG. All responsible violating parties will be brought forth in a court of law and held fully accountable for their actions.